One of the enduring delights of the English countryside is the extraordinary range of parish churches, with their astonishing diversity of architecture and internal features. And, as John Goodall highlighted in his captivating talk on January 22nd, it is possible to walk into most parish churches and stand in front of (and often touch) cultural riches, which may have been in the same position for centuries. 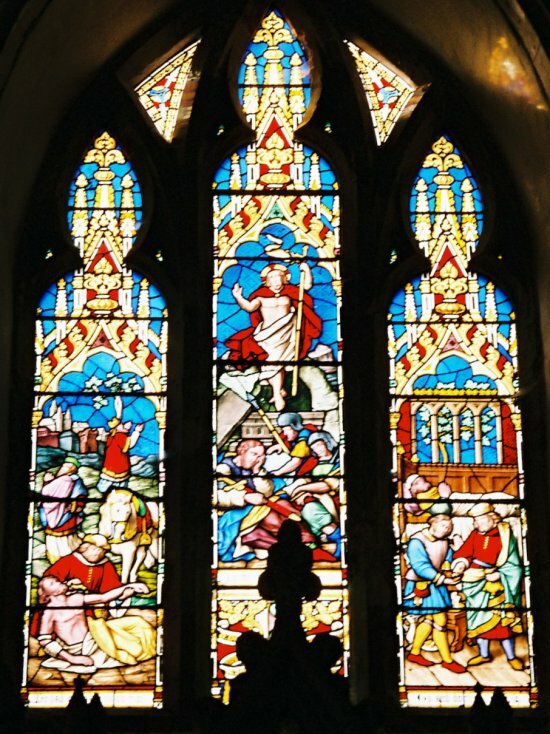 There are about 10,000 parish churches in the UK, with each offering an insight into the local area through their design and incomparable variety of features, such as fonts, monuments and rood-screens. John told us that - because church treasures usually remain in the buildings they were created for - they can tell the history of the nation, its people and their changing religious observance. Indeed, he said it is a wonderful experience to savour "the click of the latch and the yielding door" before sampling some of the most unpredictable and compelling features of country life. John, Architectural Editor of Country Life, pointed out that parish churches, with their living history, have virtually no equal in Europe. Fine art and architecture combine with the functional, the curious and the naïve - from prehistory to the present day - to form an unsung national museum, which presents its contents in an everyday setting without curators or formal displays. Sadly, though, unlike with museums, there is no funding from the State. During his talk, John summarised the history of churches around five key turning points - the change from wood to stone for construction about the time of the Norman Conquest; late medieval enlargement to accommodate formalised liturgy; the stripping of churches as a result of the Reformation, the re-orderings in the 19th Century and the widespread changes currently taking place to make churches more practical for a wider community use. 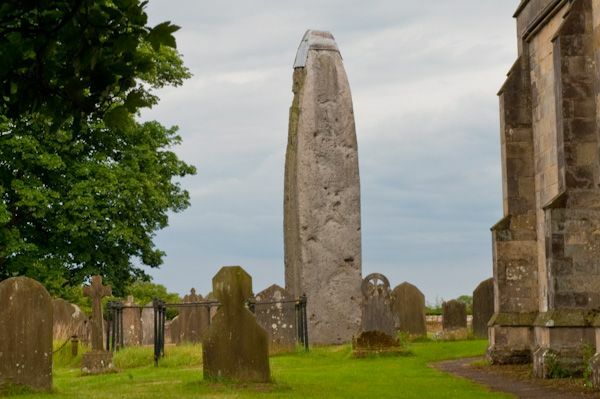 As examples of continuity, he highlighted the Church of All Saints, at Rudstone, in Yorkshire, where Britain's largest surviving monolith, 29ft tall, stands in the churchyard. It dates from 2,500-3,000BC and the erection of the parish church there long follows the first Christian use of the site. Similarly, at Escombe, in County Durham, the 7th Century church stands in circular graveyard, which is also evidence that it also occupies the site of a prehistoric monument. 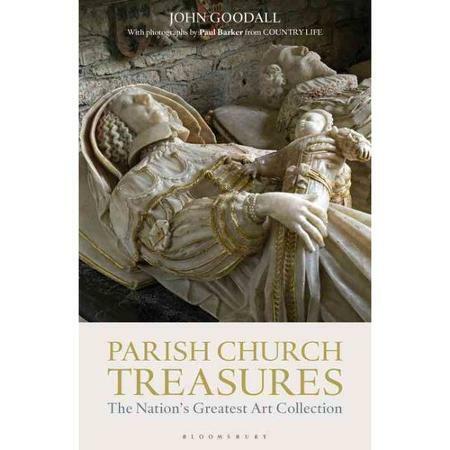 John's talk was based around his latest book, Parish Church Treasures - The Nation's Greatest Art Collection, which expands his weekly series in Country Life celebrating objects in and around churches which are of outstanding artistic, social or historical importance. He suggested benignly that, because objects are housed in "living buildings" which are still used, we may not fully appreciate them. Perhaps we think these objects may not be important. whereas, in fact, they can be of huge social and cultural interest. For instance, the carved font in the Church of St Mary Magdalene at Eardisley, in Herefordhire, dates from about 1140 and features a remarkable series of figures in stone. Elsewhere, the Church of St Mary at Selling, in Kent, has a virtually complete 14th Century window of stained-glass above the high altar - and St Michael's Church at Stanton Harcourt, in Oxfordshire, has a remarkable stone canopy, which is an extremely rare survival of a medieval shrine and part of a 14th Century structure. Detailed work on doors and porches alone, from Norman times to the 20th Century, he added, can be striking in their own right before visitors even venture into the main body of the church. The 12th Century porch of Malmesbury Abbey, in Wiltshire remains a striking feature after Sir William Stumpe, a wealthy 16th Century clothier and the local MP, bought the abbey following the destructive activities of Henry VIII, and donated the nave, including the porch, as a parish church. In more modern times - but no less impressive - are the magnificent bronze doors at the Church of St Mary, in Nottingham, designed in 1904 by Henry Wilson, the Arts and Crafts metalworker and architect. John suggested that the art and architecture of a parish church has the power to forge a common cause for both churchgoers and non-churchgoers because they are not simply the possession and responsibility of their congregations - but belong to us all. He urged more people to take ownership of parish churches because - if we do not treasure them - they will continue to be under threat. That said, John suggested that churches (although still in crisis to some extent) have probably never been in such good shape in modern times - mostly as a result of the dedication and hard work of local volunteers. 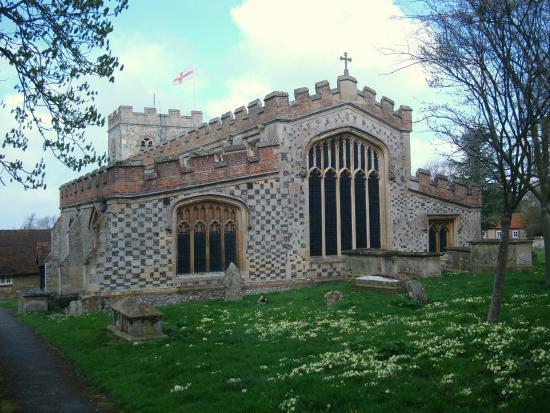 In response to one question on his favourite church, he highlighted the Church of St Mary the Virgin, at Ewelme, in Oxfordshire - indeed, his book on the building was joint-winner of the Royal Historical Society Whitfield Prize. Over 130 people attended John's exhilarating talk and he sold 22 copies of his book on parish churches, beautifully illustrated by photographer, Paul Barker, at the end of an evening which proved the perfect start to our 2016 series.